You’ve heard the statistics: about 90% of startups end in failure. Some of them go up in flames in spectacular fashion, but for the majority of those failed ventures, their decline was the result of a series of small bad decisions that added up over time. As a recruitment firm that specializes in early stage SaaS companies, with a focus on product, leadership, and sales roles, we often have visibility into the challenges that growing tech companies face—particularly in their hiring decisions. We partner with our clients throughout their hiring process to ensure that they avoid these common hiring mistakes, particularly when it comes to recruiting sales talent. 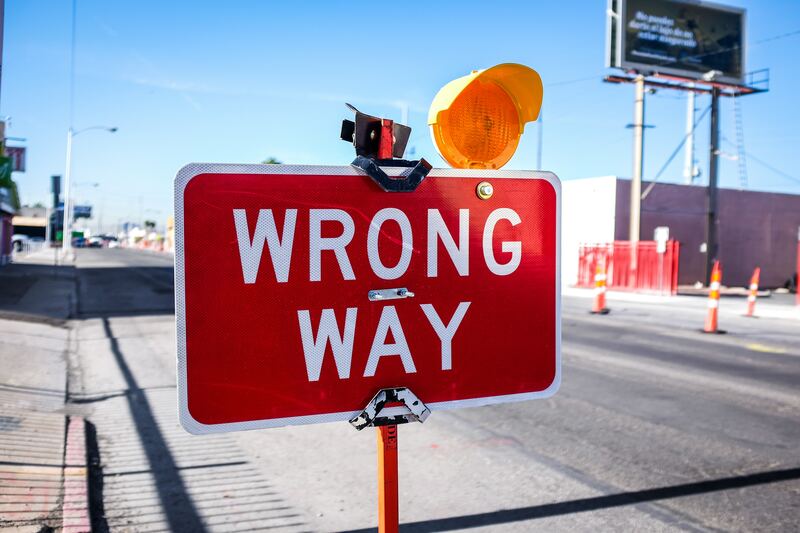 As you gear up to add the next member of your sales team, you will save yourself a lot of headaches if you avoid these common mistakes. 1. Not understanding the requirements of the role, or how to screen for them. Many SaaS founders come from technical backgrounds, and have built their product, run operations, and secured early sales and investment. It’s natural for them to evangelize the vision and benefits of their product, and early sales may come easily. By necessity, they’ve had to do it all as they were getting started, and then hand over parts of the business to key hires as they expand. The challenge with this, especially as it relates to hiring sales talent, is that the founder may not really know what they need in those early hires, or what to look for. If they don’t have any previous experience working in sales, they may have outdated or superficial ideas about what makes an effective salesperson, or they simply may not understand the full complexity of selling SaaS product. We’ve seen organizations end up hiring farmers instead of the hunter salespeople they need, neglect to validate their candidates claims of beating quotas—and end up hiring people whose skills limited to selling an inflated version of their abilities, and fail to ask the key behavioural questions that reveal the true profile of a candidate. At the early stages of growth, organizations need someone who can effectively sell a vision—who can go to the market and evangelize a product to people who have never heard of it. While that ability may come naturally to the founder of a product or service, it needs to be carefully screened for during the hiring process. 2. Hiring for personality instead of skills. What’s more important: hiring someone who can hit their sales targets, or hiring someone you’d like to have a beer with after work? The answer should be obvious, and yet we’ve seen organizations choose the wrong approach to their detriment. It’s tempting for founders who have built their company from the ground up, often with the help of long-time friends or college buddies, to favour candidates who are just like them. Of course, culture fit is an important factor in a hiring decision, but fitting in with the status quo should never take precedence over skills and accomplishments. While a young, innovative vibe (whatever that actually means), with ping pong tables and stocked beer fridges may be appealing for recent grads, it may not be seen as a benefit to the experienced sales person with a track record of always smashing their quota. Furthermore, hiring for personality alone can hinder diversity in the workplace, create a monoculture that excludes folks with different temperaments and backgrounds, and create a damaging or abusive environment that prioritizes “fitting in” over respectful dissent or even employee safety. 3. Hiring someone you’re not ready for. When a tech founder starts interviewing for key sales roles, they can often get dazzled by the profile of candidates and hire someone they’re not ready for. Their investors bring in a candidate who has been succeeding at a massive organization for years. Or they meet the Head of Sales from that hot company that’s been in the news recently for all the right reasons. It’s tempting to bring the person on for virtue of their (perceived) profile alone. However, the skills needed to bring a company from their first few sales to their first few hundred are far different than those needed to help maintain a large, established book of clients. And the leadership needed to build sales processes from the ground up and then hire and manage a team is much different than the experience of a senior executive brought in to manage an existing team and playbook. Of course, it’s only human nature to be aspirational—when you reach that massive valuation, you’re going to want a VP who can handle it, so why not get them early? This kind of thinking can be disastrous, because you end up hiring for the desired future, and not the current reality. 4. Hiring in the wrong sequence. In the early days of growth, what most early stage SaaS tech companies need are salespeople with a track record of closing clients. They need hunters: people who are comfortable making cold calls, getting people on the phone and then signing deals. Hiring these hunters should, in most cases, happen before you build out a team to support those clients, and before you hire a marketing team to generate more leads. Hiring in the proper sequence can help to keep the burn rate down and ensure that growth happens in a sustainable way. It’s common for founders to want to skip ahead, or do everything at once, especially if they’ve just received a cash injection from a round of funding. To a founder who has been self-funding, scraping along by watching every penny and working non-stop to get their vision off the ground, a few million in the bank can feel like it will last forever. Unfortunately, the metaphorical startup graveyard is packed with companies that didn’t realize how swiftly their burn rate would catch up with them. Hiring is often a more emotional process than many of us will readily admit. Often, the mistakes that organizations make in their hiring decisions (and the mistakes that candidates make in accepting or rejecting positions), happen because they incorrectly believe that they are acting objectively, when in fact they are acting from ego or emotion. They want to grow too fast, skip steps, hire only people they want to hang out with, or hire all at once. Working with a trusted advisor—whether that’s an investor, a mentor, or a consultative recruitment firm that’s seen it all before—can help early stage companies avoid these common pitfalls, and build a sales team that will deliver the high octane growth they dream of.